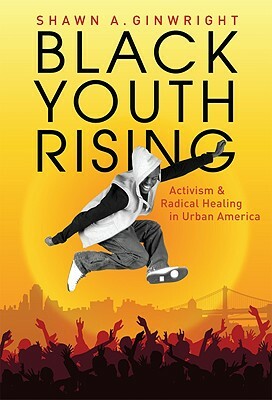 In Black Youth Rising: Activism and Radical Healing in Urban America, activist, academic, and educator Shawn Ginwright offers an in-depth ethnography of Leadership Excellence, the Oakland-based organization he co-founded in 1989. With a mission to “educate African-American Youth for personal and social change,” LE’s leadership development model is embedded in principles of afrocentricity, community, well-being, and collective action towards social justice. Ginwright uses this book to put forward the concept of radical healing, drawing on his direct experiences as an activist and educator as well as often separate fields of study, such as youth organizing and public health. For Ginwright, radical healing comprises a process of building strong relationships, developing a healthy racial identity, and raising political consciousness in a way that pushes young people towards action to confront systemic issues in their own neighborhoods. It is a matter of healing not just from individual trauma, but from the collective trauma of current and historic oppression. In this framework action is healing, and healing is an act of resistance. The strength of this book — and the work it describes — lies in part in the attention it pays to identity and culture, which is not always the case in the world of leadership development. Culture is cited as one of the four pillars of the Black community that support this healing process. By “culture,” Ginwright refers to both a historically grounded Black/African identity, and modern urban black youth culture, both of which he sees as being rich resources for radical healing. This focus on culture as healing manifests itself in the LE programs in part through sharing stories, rituals that draw youth into historical experiences, and hip-hop performance. Ginwright very explicitly appreciates and draws on the power of cultural expression — art, ritual, storytelling — as a form of radical healing, with deep roots in Black history. He sees it as vital for young people to develop, in the words of Robin Kelly, a “radical imagination.” However, cultural expression is not an overriding aspect of his work. I believe this is a rich area for further development. Arts educators and cultural organizers could benefit from the radical healing framework, and could do much to develop new methods and take it in new directions. Radical healing sits at the intersection of some of the keys strengths of the arts: cultural expression has often served as a process of individual and collective healing; many forms of art and ritual are centered on building relationships and community; and both political education and political action have often been intertwined with the arts. At a time when our efforts towards justice can often become fragmented, radical healing keeps our focus on the systemic, the communal, and the internal levels of social change — and offers a potent tool for the cultural organizer’s conceptual toolbelt. For more on the book, check out this fabulous review by my colleague Thomas Nikundiwe, in the Harvard Educational Review.